I will be getting REALLY BUSY!!!!! 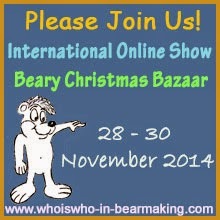 Doing online show is really fun, as I can stay at home and watch out my show bears from internet, and don't have to travel around the world to show everyone my bears. 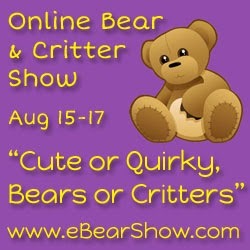 I will join this online show which features Teddy Bear & Friends on Vacation. Please check the website www.teddiesworldwide.com on 20-22nd of June. My next online show will be on 12~14 July 2013. 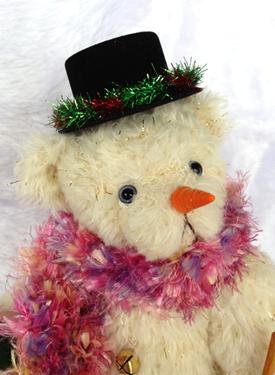 This is my preview bear, his name is Johnny the Snowman. I had a lot of fun create him, and I did the clay "Carrot" nose for him to make him really "Snowman" looking. I have also added a music box in his body, that plays Santa Claus is coming to town". As I haven't see a bear with music box for very long time, and I always want to create a bear that has a music box. As been a mom with 2 kids, 1 of 4 yrs old & another one just 5 months old. I found I have less and less time to do anything that I like, especially bear making! But I just found an interesting hobby recently! It means "decorating mobile phone" in Japanese, it's been very popular in Asian countries, but hard to see in Australia. 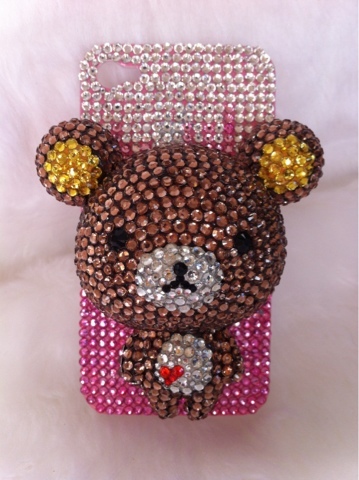 This is rhinestone doll phone case! Sorry haven't update my blog for very long time. As there is a new family member join us from 3rd of March! Our new baby boy, Matthew! He is now 5 months old, where did the time past? Anyway, I have done an online show on 13~15th of July. I did sold 2 bears on that show! It's the best online show that I have done in these couple of years!! As I am so busy with 2 kids right now, I won't be able to travel for "personal show", so online show is best choice for me! 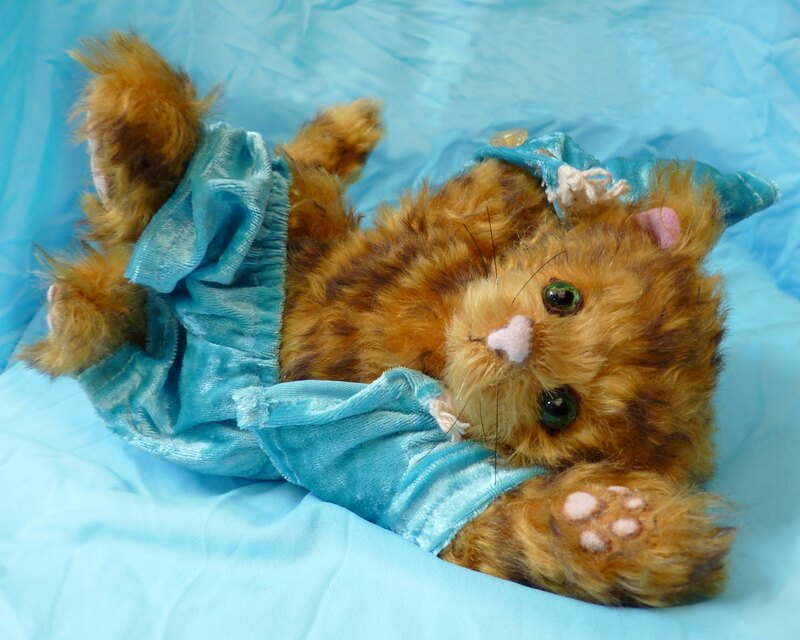 My next online show will be with Teddies Worldwide, and it's on 23-25 of March. The theme is Teddy bear's tea party. 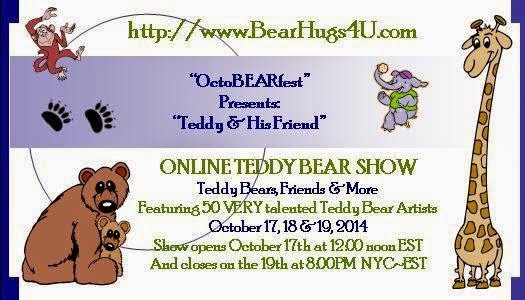 I am so glad I have been chosen again, as I did an online show with Teddies Worldwide on last July, and that was really successful. I have lots idea for this tea party theme, but I will have very limited time to make the bears!! Because I am expecting my 2nd baby on 6th of March, and I will be NO TIME for making bears anymore after the baby is born. So I have to be hurry up to finish as many as I can before the date. I just keep forgot to upload this picture, his name is "Naughty Tommy". He is my TACDA entry 2011. I was so proud that I can finish him, as he got lots details on his paw pads. Each of the details are made from ultrasuede, and hand sew them one by one, as they are really tiny. The biggest one only 0.5cm circumference!